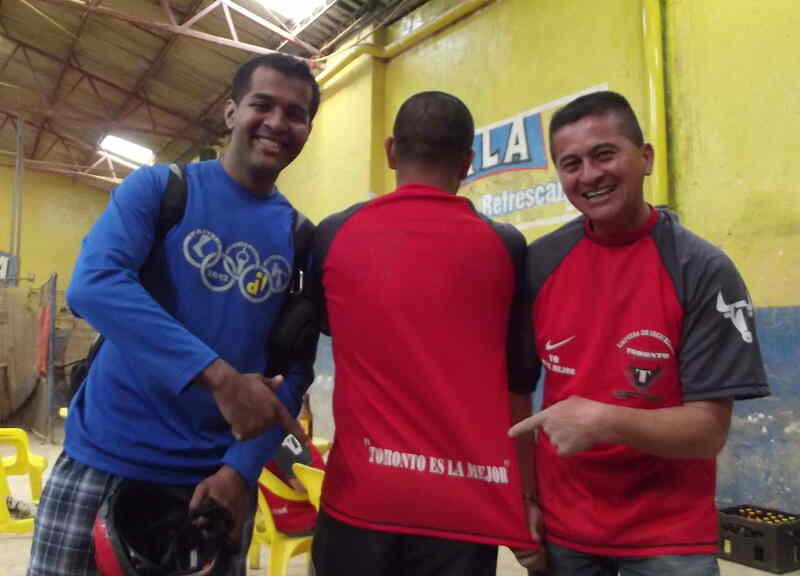 Talking tejo, Cplombia’s national sport. 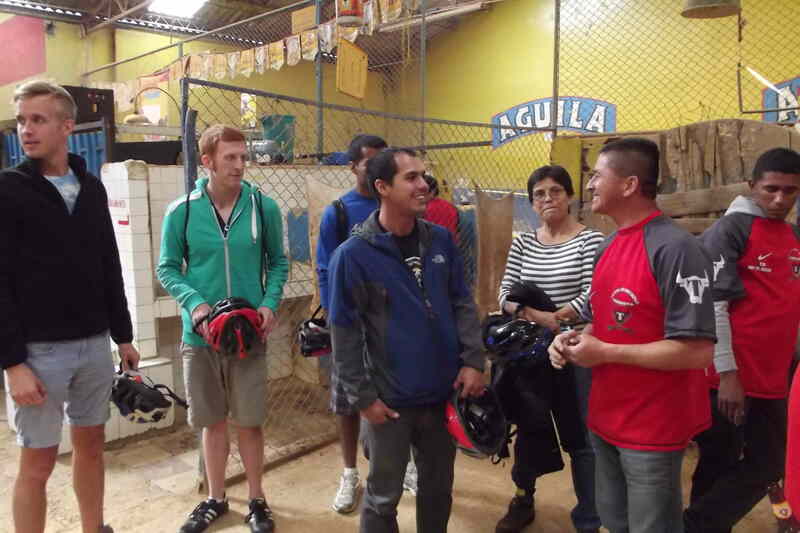 One thing many visitors notice is Colombians’ great friendliness – which is kind of contradictory considering the nation’s great history of violence. Unfortunately, however, many visitors stay in hostels, hotels and restaurants, where they mix mostly with other foreigners. 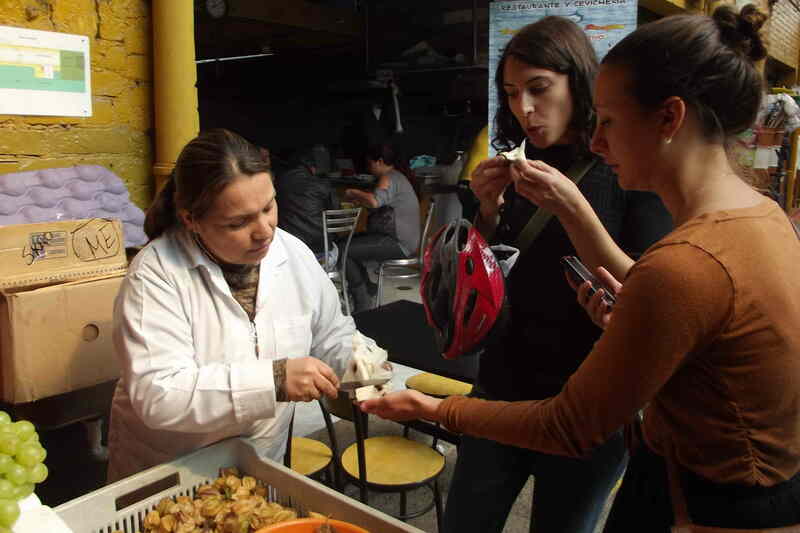 But our bike tours provide lots of opportunities to meet locals, in parks and fruit markets, playing tejo, even on the street. A visitor from Toronto shares a laugh over a local security guard company named ‘Toronto.’ The security guys were out drinking beer and playing tejo. 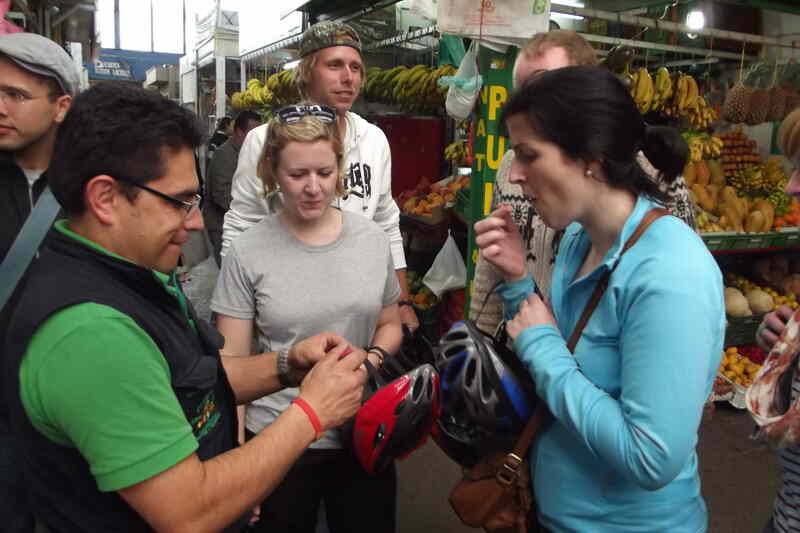 Tasting tropical fruits in Palo Quemao market. A fish restaurant owner we often meet. 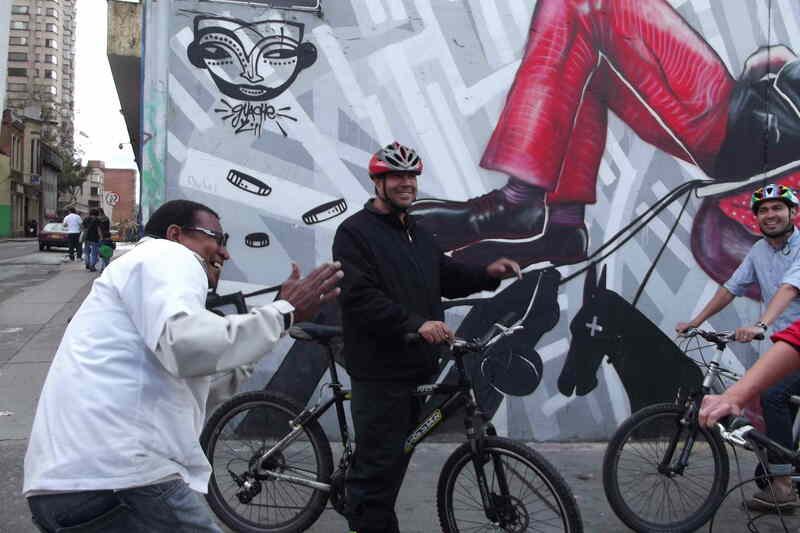 He likes to joke that he painted the mural in the background – but he didn’t. This lady in Las Nieves fruit market is always interested in visitors’ home countries – and loves to flatter their Spanish ability. 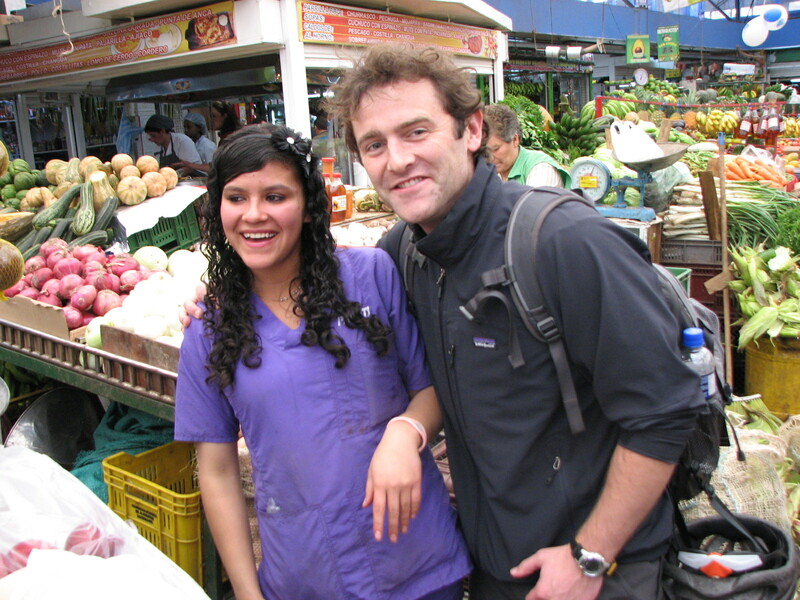 A friendly meeting in Palo Quemao Fruit Market.